This pair of beautiful macrame earrings were hand knotted and fringed at the edges with a green colored cotton cord. These are surprisingly lightweight to wear and have antique bronze plated earring wires. Each round shaped earring is 1 1/2 inches long and about 1 inch wide. Navy Macrame Fringe Earrings. Fringe Earrings. Knotted Fringe Earrings. 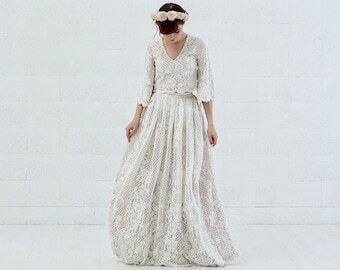 Boho Fashion. Macrame Earrings. Fringe Earrings. Charm Earrings. Knotted Fringe Earrings. Boho Fashion. 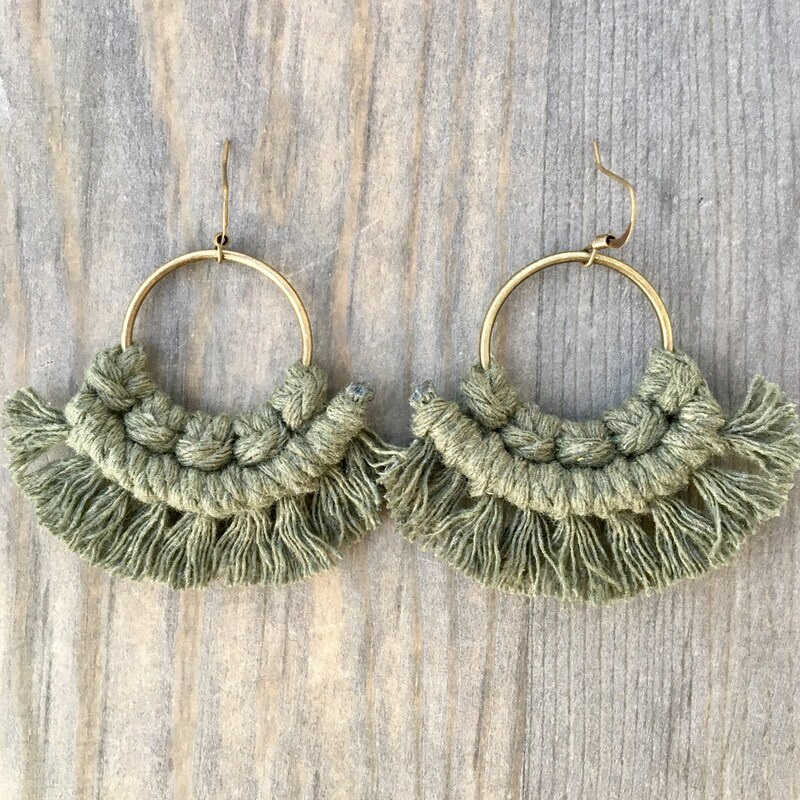 Gold Macrame Fringe Earrings. Fringe Earrings. Knotted Fringe Earrings. Boho Fashion. Pink Macrame Earrings. Fringe Earrings. Knotted Fringe Earrings. Boho Fashion. Statement Earrings.